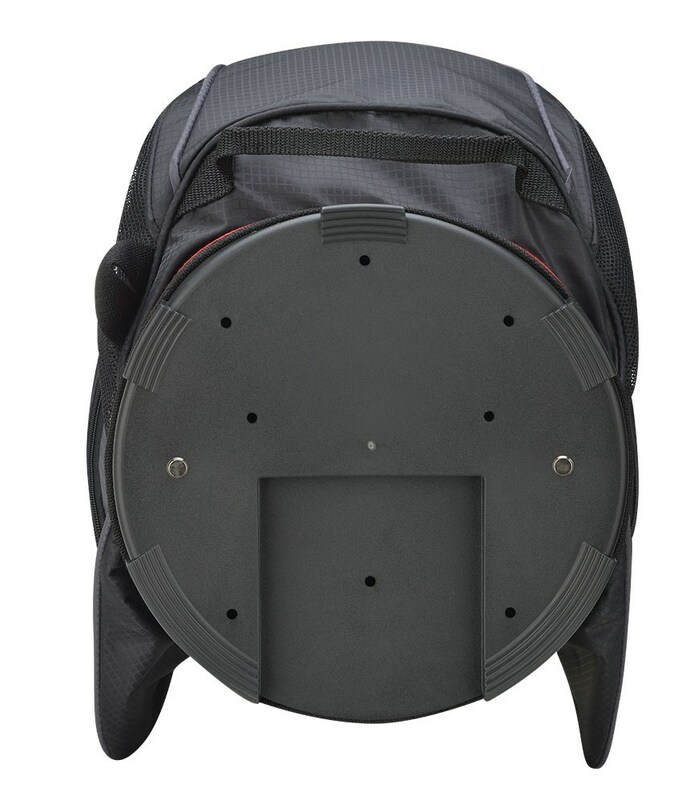 This is a high quality bag at a seriously low price. 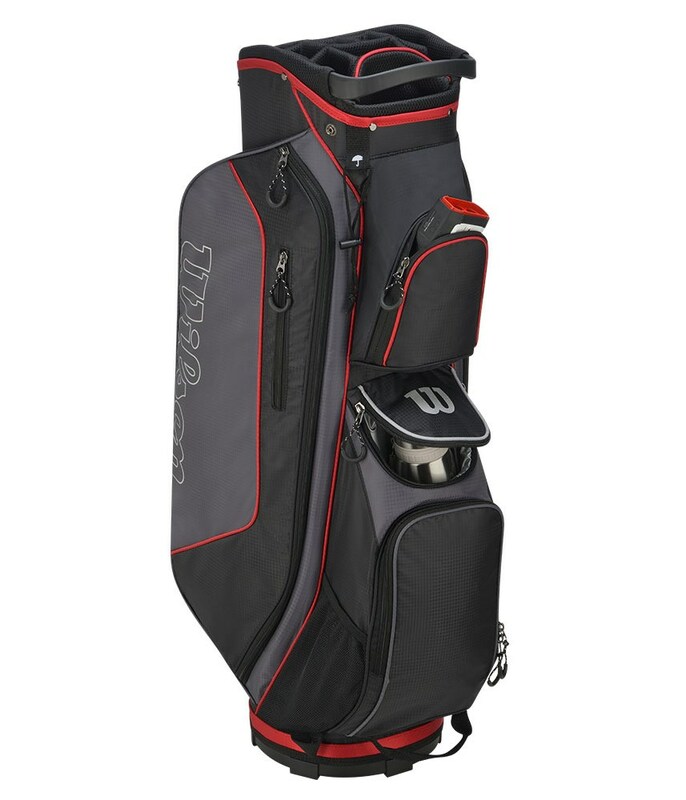 Its perfect in every way and has all the features required for any standard of golfer. 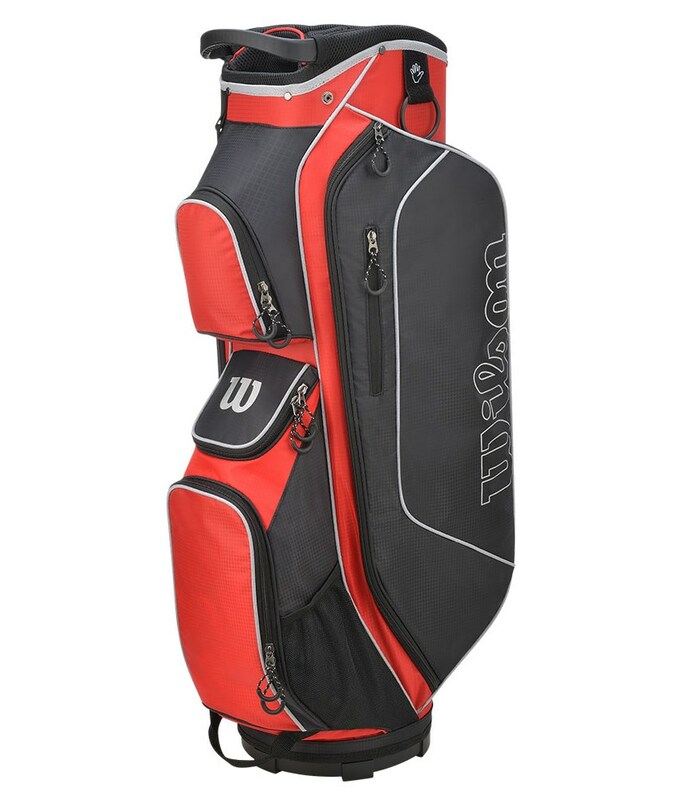 I looked at a lot of cart bags, many twice the price of the Wilson Pro Staff, but none got close to its quality and price. 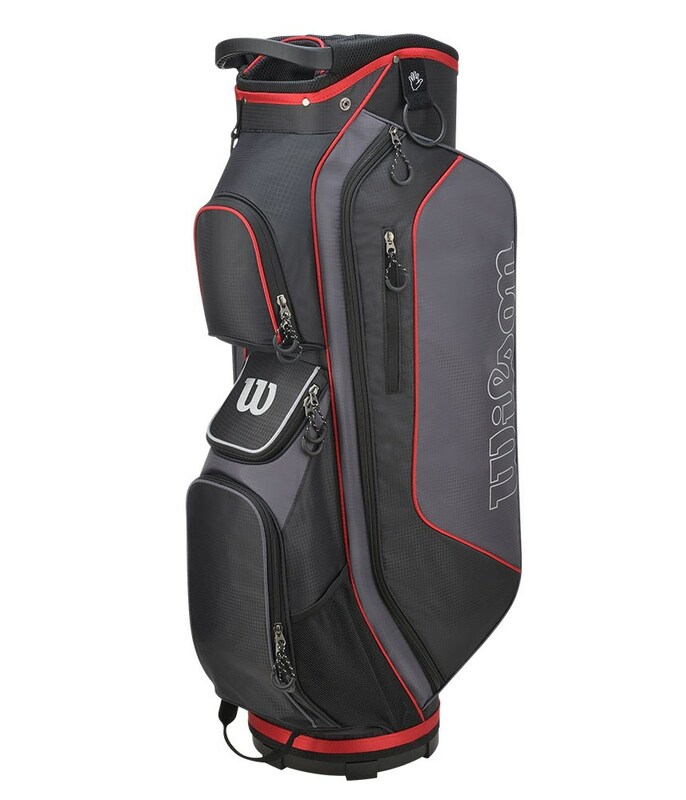 I would highly recommend this product to those who are looking for a lightweight but strong cart bag, that is both stylish and extremely well made. 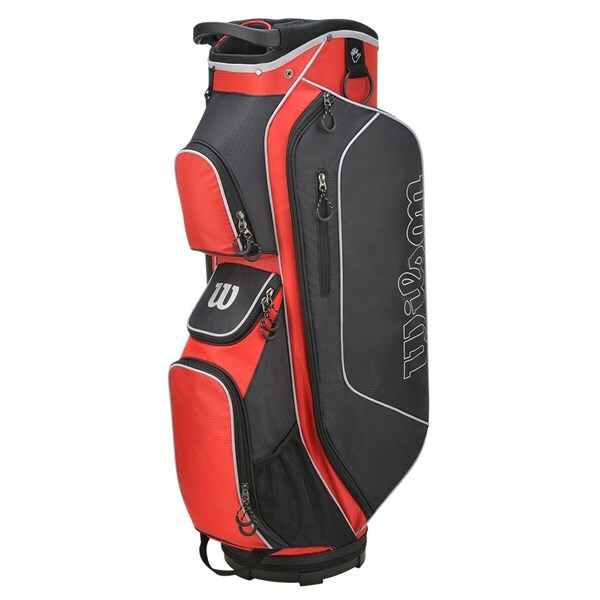 In addition, I would highly rate the customer service of Golf Online, value, service and delivery all 5 stars! 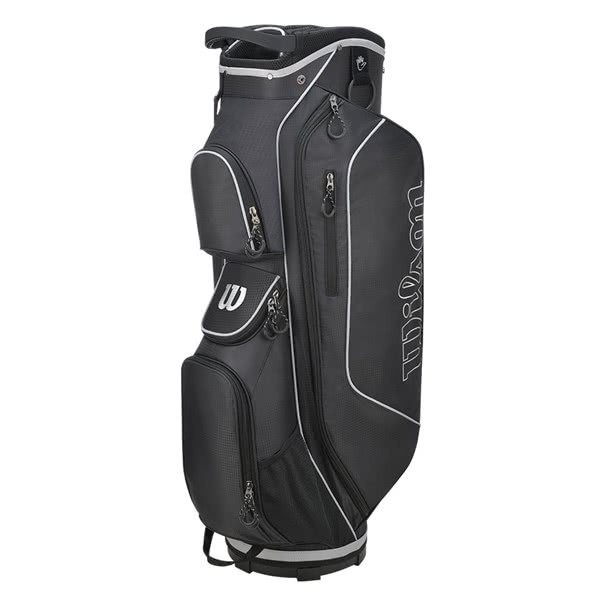 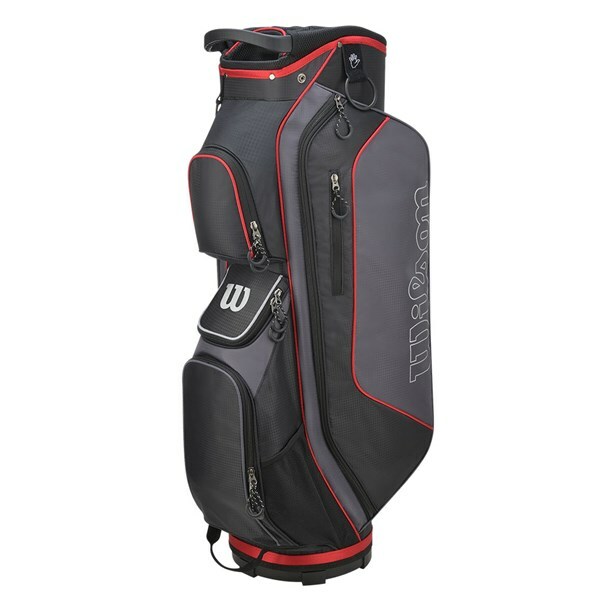 The fantastically priced Wilson Prostaff cart bag provides excellent storage solution for your clubs, garments and accessories. 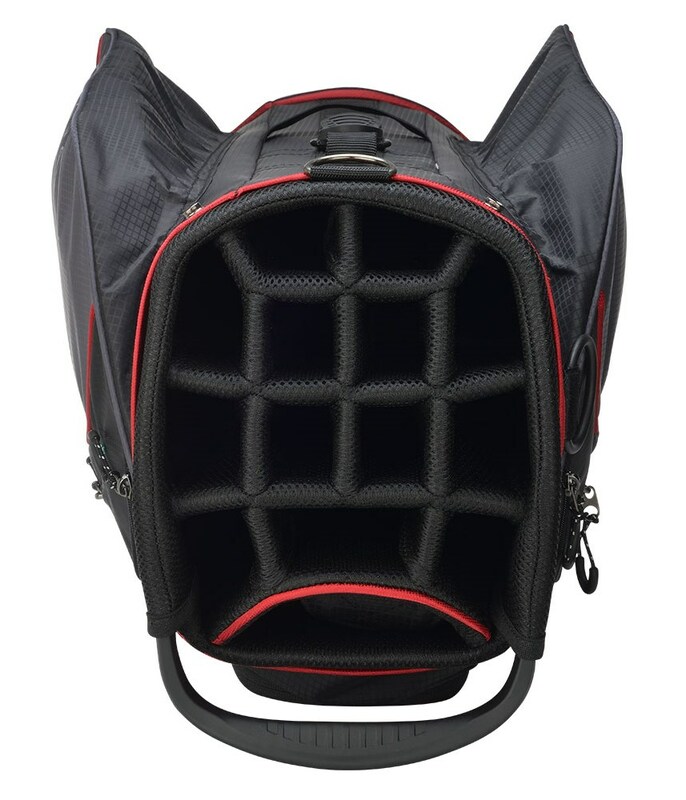 With the empty weight of the ProStaff cart bag being only 1.7kgs it means you can pack the nine pockets with as much as you want. 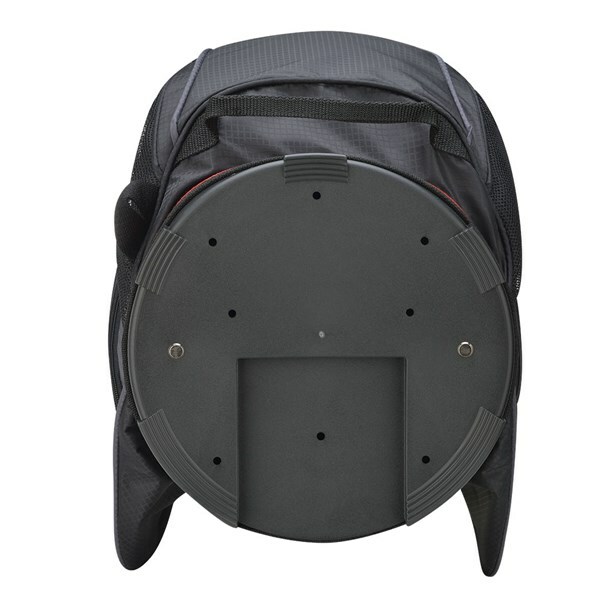 All nine pockets have been practically positioned to ease the storage burden and allow you to find equipment easily whilst on the move. 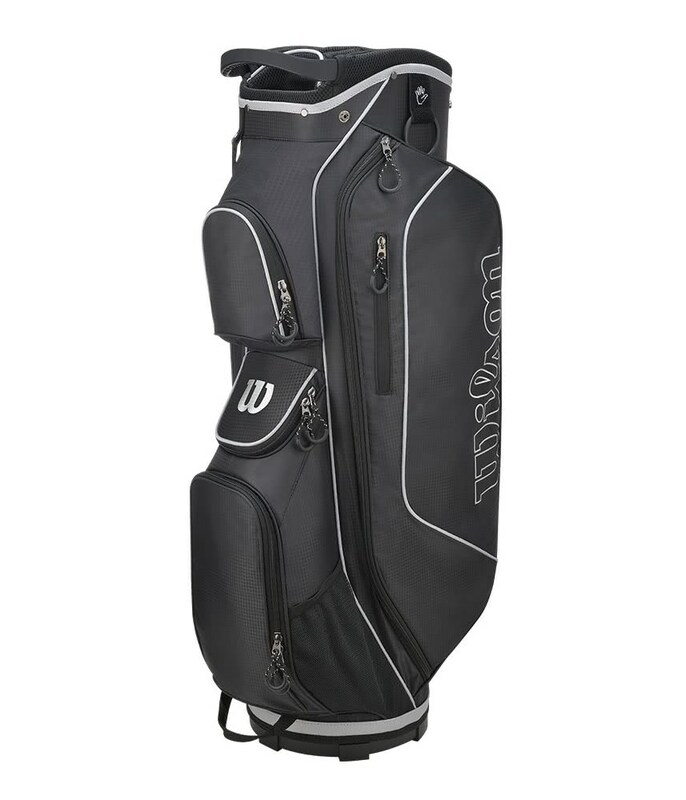 A top design featuring a 14-way divider and a 3-way sectional full-length divider system provides excellent club management. An oversized putter well is also useful if you use a larger putter grip. 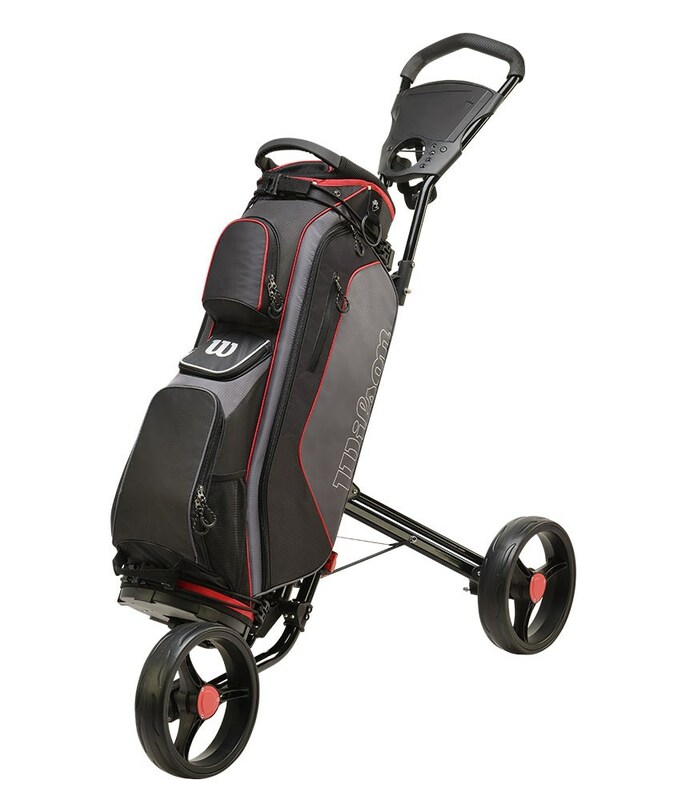 To make lifting a loading much easier Wilson have used a top mounted grab handle, a base handle and a front loading handle. 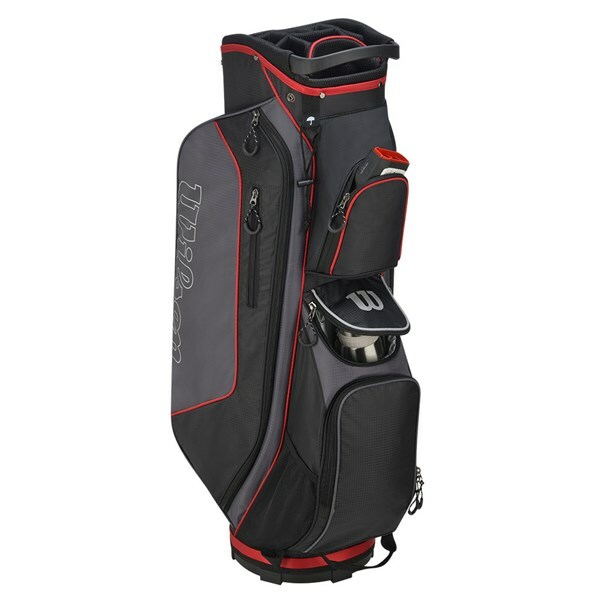 Extra features on this excellent bag include a single padded strap, a front umbrella holder, a towel ring and glove holder. 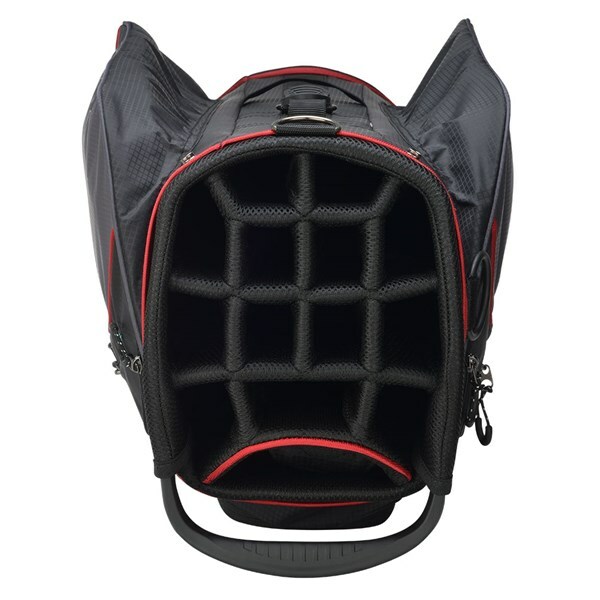 1 large top front pocket for range finder and accessories.